Our operating environment is undergoing major changes. SYK’s business takes place entirely in Finland. However, our business environment is becoming more international due to the diversification of the customer base and new customers entering campuses. As recently as in 2010, all of our premises were rented out to universities. In 2017, non-university customers accounted for six per cent of our total revenue. Their share of revenue is expected to grow to approximately 15 per cent by 2020. Campuses have become multi-user environments where businesses operate alongside universities. We develop services and business cooperation to make campuses increasingly vibrant and attractive. The campuses of the future will be more lively all through the year and around the clock. We cooperate with municipal decision-makers to promote the zoning of new types of areas that combine schools of different levels as well as housing and services. 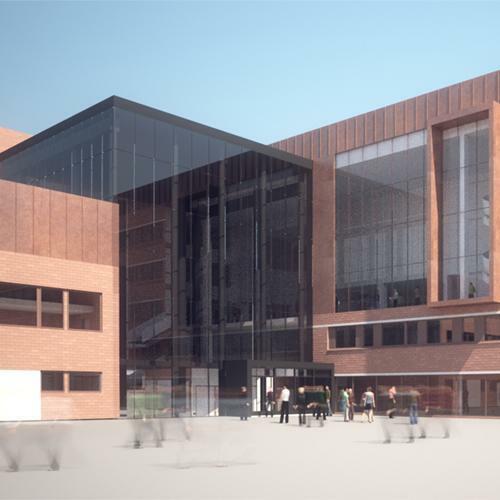 As the campuses of the future will be home to a more diverse range of operators with different needs, they need to have the capacity to offer flexible premises and services to suit the needs of their tenants and users. We invest in designing and building flexible and adaptable premises. There is growing interest in university campuses among universities of applied sciences. More and more universities of applied sciences are interested in relocating to university campuses where they can operate in close collaboration with other on-campus operators. 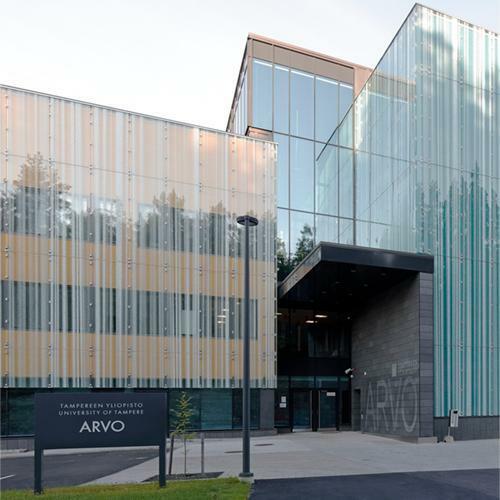 The current trend appears to be dividing Finland’s university cities into three categories. There are cities that have a university of applied sciences but not a university. The second category consists of cities that have a university and a university of applied sciences that operate separately from one another. 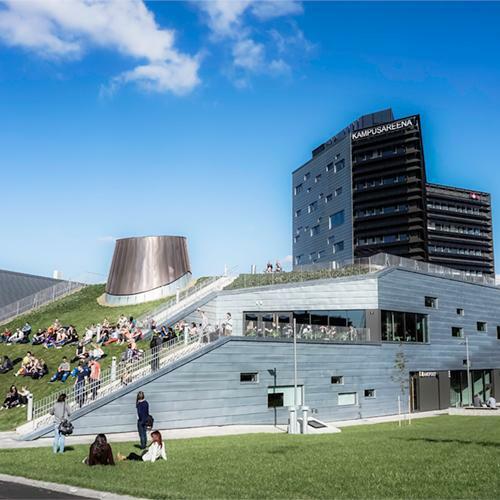 The third category is cities where a university and a university of applied sciences operate in close collaboration on the same campus. Our aim is to develop our campuses towards the latter category, as we believe that is the way to achieve the best results and increase the attractiveness of the region in question. We strive to make a positive contribution to regional development by creating attractive environments and properties. Digital solutions can enhance the use and maintenance of premises. Combining data from various sources and using automation facilitates, among other things, the further development of properties, the improvement of the user experience and the optimisation of energy consumption. Changes in teaching methods and supporting diverse forms of learning require not only traditional lecture rooms but also space for meetings and collaboration. With this in mind, we design our classrooms and lecture halls to be flexible, adaptable, versatile and capable of activating students. We also utilise spaces such as lobbies, corridors and restaurants as learning environments. We report on responsibility in accordance with the GRI G4 principles. We continuously improve our sustainable development actions and reporting. Our aim is to take an increasingly active role in business responsibility. We develop measurement opportunities at our properties and work as an active partner to our customers. Going forward, we aim to distribute more and more information on environmental issues at our buildings to increase users’ awareness of their own impact. The internationalisation and multiculturalism of campuses is evident in many ways, and it is also taken into account in the design of our premises. Finnish and foreign exchange students and degree-seeking students, researchers and instructors all provide us with valuable insights to support the development of our future service offering. As a company, the reach of our actions extends beyond our campuses. Members of the SYK organisation are active in many international forums. 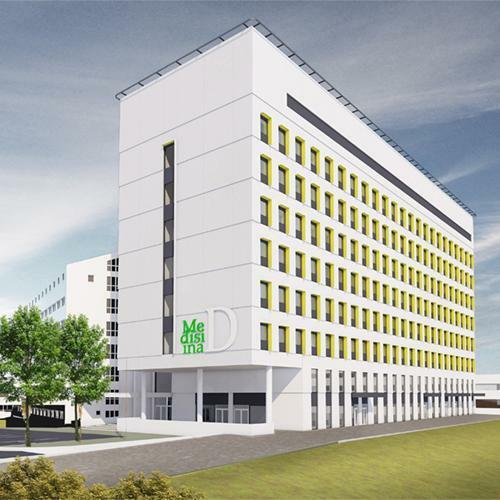 Research and development projects include cooperation with, among others, European and Nordic campus developers and R&D units. We also participate actively in international seminars. When planning new construction and renovation projects, we determine the customers’ spatial needs and take a long-term view to ensure that we can implement resource-efficient solutions. Construction needs are assessed with reference to the campus strategies that have been drafted in cooperation with the universities for each area. 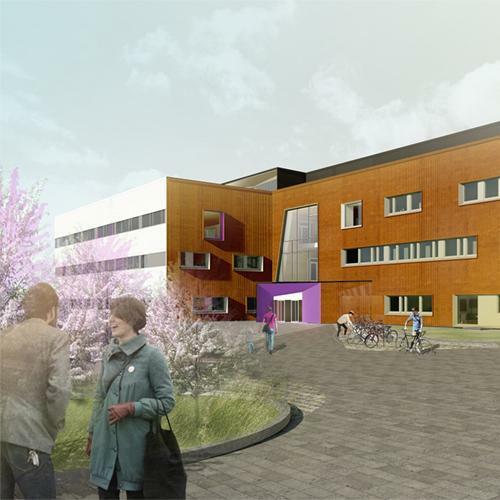 Our goal and, as a rule, the ideal solution is a multi-user campus that supports the efficient use of premises and optimises costs for all parties concerned. Competition in the commercial premises market is currently intense throughout Finland. The pull factors of campuses include top-level research, a large number of people and the capacity to bring together the visionaries of the future. On-campus premises can be utilised in more versatile ways for teaching, as well as business activities, for example.